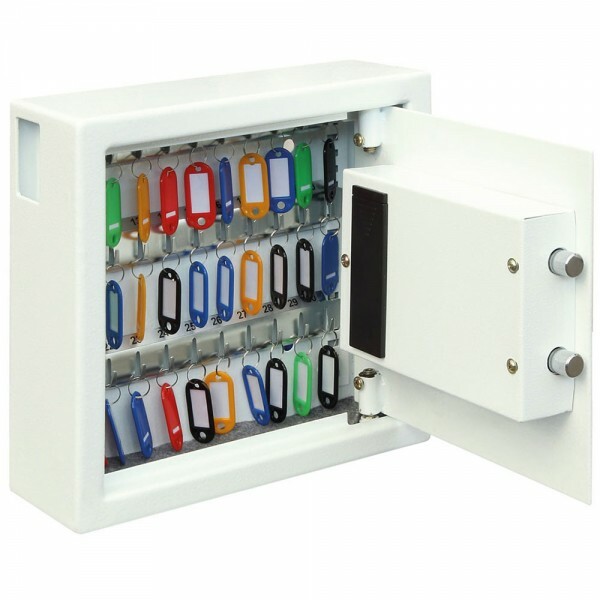 The Phoenix KS0031E key safe is a key cabinet with 30 key hooks and an electronic lock, supplied with a variety of colored key tags. This safe ensures protection of keys from burglaries by bolting it onto the wall using the fixings provided. It has has a deposit slot on the side that allows for keys to be placed into the safe with having to open it. Furthermore, it has a key override facility which allows one to open the safe using a key should they forget the code. 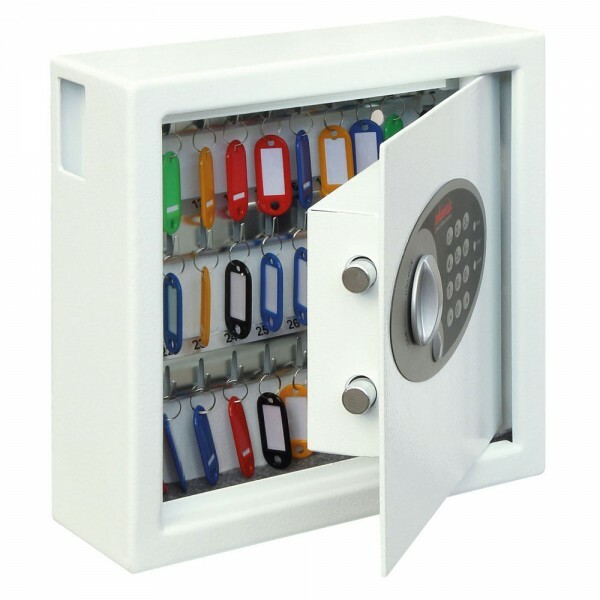 The Phoenix KS0031E key safe has scratch resistant coating of paint and is suitable for garages, home, school or office environments. Heavy duty steel construction with concealed hinges and twin live locking bolts for increased security against attack.